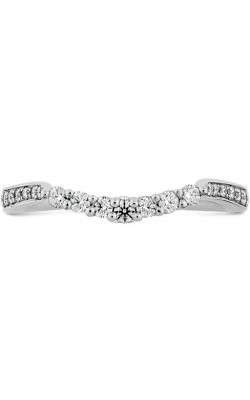 Traditionally, to symbolize their eternal commitment, wedding bands have been simple, precious gold bands. 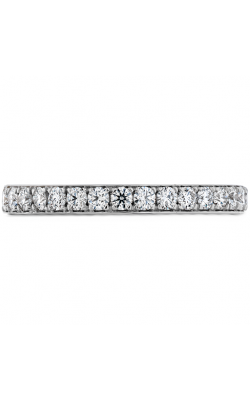 However, in modern times, men and women have been choosing to adorn their wedding bands with pave diamonds, a style in which many small diamonds wrap around the band of the ring so that the ring looks "paved." To that end, jewellery designers have let their brilliant imaginations go wild, creating new and exciting pave wedding bands that will perfectly accentuate any bride or groom's happiest day. From their Willowbrook Shopping Centre showroom in Langley, British Columbia, Golden Tree Jewellers offers a wide selection of collections from esteemed brands to the men and women in Langley and the greater Vancouver, Surrey, Burnaby, Richmond, and Maple Ridge areas. As an authorized dealer of all the designers in their showroom, Golden Tree Jewellers is proud to offer pave wedding bands from Amden Jewellery, Tacori, and many others. 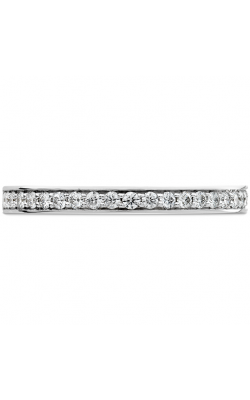 Available are bands from Tacori in their men's and women's Sculpted Crescent, RoyalT, and Adoration collections. Your wedding day can be as dazzling as a pave-set crown of diamonds with the sporty and masculine rings from Carlex; and the willowy beauty of Amden Jewellery bands! Exceptional pave wedding bands also carried by Golden Tree Jewellers include the understated elegance of pieces from CrownRing, the dazzling jewellery of Noam Carver, Torque's grand pieces in cobalt and titanium, and the sweet simplicity found in Zeghani rings. With such an enormous assortment of pave wedding bands, every couple is sure to find their match! Golden Tree Jewellers offers a lifetime quality warranty to its customers, financing plans, custom jewellery design for that one-of-a-kind piece, and professional repair services for both jewellery and timepieces. For over 30 years, Golden Tree Jewellers has been the premier jeweller in the greater Langley area, earning the trust of its community for its commitment to quality, involvement with local events, and reputation for attentiveness and jewellery expertise. Golden Tree Jewellers is also Langley's favoured stop for other wedding bands, engagement rings, loose diamonds, fashion jewellery bracelets, necklaces, and earrings, as well as Swiss-quality timepieces. Golden Tree Jewellers' skilled team is always happy to share its passion for fine jewellery with its friends and customers-take a trip to their Langley, British Columbia, showroom to find out for yourself!